At MINX-DESIGN we are always looking out for new fabric designs and colours to give our customers what they are looking for: a stylish bag that you are going to love! 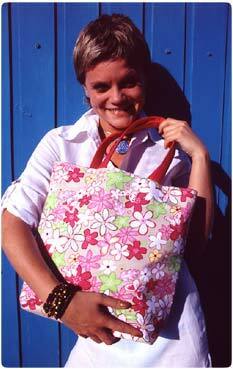 MINX tote bags are fully reversible so if you want a new look – just turn your MINX inside out! MINX-DESIGN uses a variety of fabrics and fabric designs. The bags are made up in cotton, denim, corduroy and just about any other fabric that catches our eye! Types of patterns can include prints and weaves that are matched or contrasted to funky solid colours. Click image for more detail. MINX-DESIGN bags are all made to the highest quality standards. All are tested for washability and may be ironed. Our bags are made for durability! Just email your preferred fabrics and colours and we will get back to you straight away. MINX Bags are created in Australia.